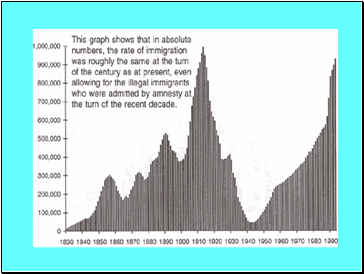 Millions of immigrants moved to the United States in the late 1800’s & early 1900’s. 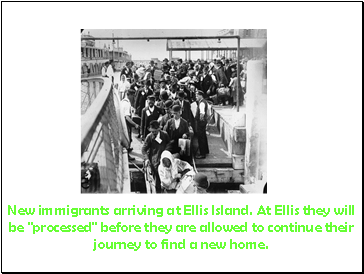 Once immigrants arrived in the U.S., they went through immigration stations, such as Ellis Island in New York Harbor. 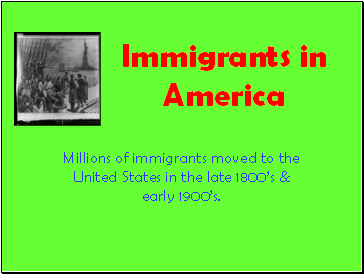 Government workers questioned them about where they planned to work & live. 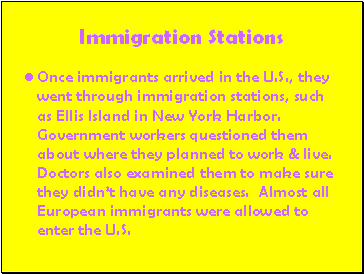 Doctors also examined them to make sure they didn’t have any diseases. 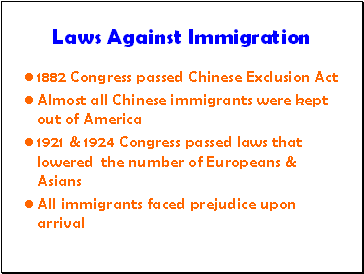 Almost all European immigrants were allowed to enter the U.S. 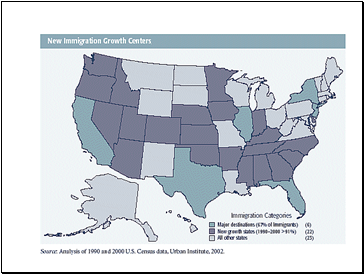 Immigrants helped the U.S. become one of the richest and fastest-growing countries in the world. 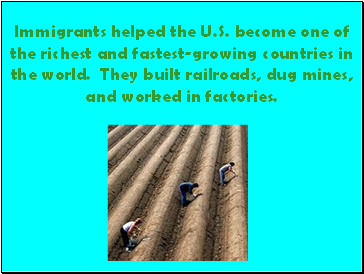 They built railroads, dug mines, and worked in factories.